UnInstaller 2017 removes software completely without any leftover files! 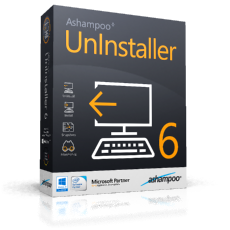 Ashampoo Uninstaller 2017 was available as a giveaway on October 24, 2016! Ashampoo UnInstaller 2017 removes software completely without any leftover files, even in the case of nested setups. The program meticulously logs new installations to record any modifications to your system. 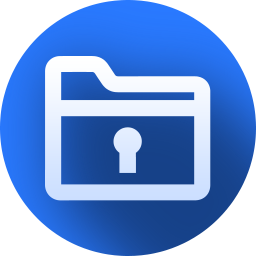 This allows users to uninstall unwanted programs that were installed during normal installations without their knowing. Another useful feature is snapshots which can be used to compare the state of a system at different points in time. UnInstaller 2017 is light on system resources and does not slow down your machine. Please note: The program is made as a part of Ashampoo UnInstaller 6. A unique upgrade price for GOTD users: $23.99, instead of $59.99. How would you improve Ashampoo Uninstaller 2017? Registered on their website for the key an hour after made available. Never received anything in my inbox or spam box. Tried it again a few hours later with a different email address. Still haven't received a key. Worthless. Usuing IObit Uninstaller anyway, which rocks! I had used an older version of Ashampoo uninstaller for XP a number of years ago and it was arguably the best I have used. This 2017 version is ok but not to get thrilled about. 1) The Help system generates script errors repeatedly as soon as you try to bring up the contents of a topic. I have not been able to read any topic or sub-topic. This is ironic because one major reason for me being a fan of the older version was very detailed and through help documentation. 2) As another poster mentioned, it does not offer the ability to create archive backup(s) of applications that you may (for whatever reason) want to reinstall later. (Advanced Uninstaller 11.67 does offer that). 3) Another choice AU 11 offers is for us to specify the locations that we want it to limit its tracking to. For example I have chosen C:\Windows, C:\Program Files / Program Files (x86), C:\ProgramData and C:\Users. These are more than enough and significantly cut down the time of creating and comparing the before and after snapshots. I think the program claims that it uses newer techniques (supposedly VSS) as opposed to taking snapshots. 4) The program does offer to create snapshots but also says that they should / could not be used for installing / uninstalling programs. I was hoping to retire AU 11 in favor of Ashampoo but I think I will have to keep both until the Help system is fixed. I had used an older version of Ashampoo uninstaller for XP a number of years ago and it was arguably the best I have used. This 2017 version is ok but not to get thrilled about. 1) The Help system generates script errors repeatedly as soon as you try to bring up the contents of a topic. I have not been able to read any topic or sub-topic. This is ironic because one major reason for me being a fan of the older version was very detailed and through help documentation. 2) As another poster mentioned, it does not offer the ability to create archive backup(s) of applications that you may (for whatever reason) want to reinstall later. (Advanced Uninstaller 11.67 does offer that). 3) Another choice AU 11 offers is for us to specify the locations that we want it to limit its tracking to. For example I have chosen C:\Windows, C:\Program Files / Program Files (x86), C:\ProgramData and C:\Users. These are more than enough and significantly cut down the time of creating and comparing the before and after snapshots. I think the program claims that it uses newer techniques (supposedly VSS) as opposed to taking snapshots. 4) The program does offer to create snapshots but also says that they should / could not be used for installing / uninstalling programs. I was hoping to retire AU 11 in favor of Ashampoo but I think I will have to keep both until the Help system is fixed. after clicking and clicking to get past all the goofy adware, used REVO to uninstall..
Well, got Soft Organizer (from Giveaway of the day of course) and I think, its the best uninstaller, I ever used. Cleaning all leftovers in the registry (and folders, which I have installed any app in, as well). What I'm looking for is an un(installer) that will track the installation so that I can re-install a GOTD program at a later date on a clean Windows image. Can this software do that? smeblee, doesn't even support Vista! Find very little better, much not as good. It’s a matter of choice. david, Find very little better, much not as good. It’s a matter of choice. Thanks GAOTD for cluing us in to great software. I've used the free version of IOBit Uninstaller for years now. It completely removes programs and all their leftovers in the registry. I finally paid for it and am still loving it. I agree completely! IO Bit does the job well even in the free version. Deb, I agree completely! IO Bit does the job well even in the free version. I get an error when I select the box to get the license. The application is unable to start correctly is the error. I downloaded again just in case of bad download and got the same error. How long does it take before they send the registration code. Had to uninstall the uninstaller. Running windows 7....even paused my Avast Antivirus. Darn installer just hangs when I click on the "request activation key" button. No time for this. I suggest a better way to activate it. Perhaps more like most of the giveaways. Had to uninstall the uninstaller. Running windows 7....even paused my Avast Antivirus. Darn installer just hangs when I click on the "request activation key" button. No time for this. I suggest a better way to activate it. Perhaps more like most of the giveaways. Your free full version key for Ashampoo® Uninstaller 2017: appears..
What I did(No Ashampoo account), 1. Enter email address 2. Press forgotten password 3. Open password reset email 4. Click change password 5. Enter new password 6. Then Your free full version key for Ashampoo® Uninstaller 2017: appears.. Phew !!! I admit to not being a great fan of Ashampoo, and with other very popular and effective uninstallers available (Revo free being just one example) this seems very much an also-ran. Thank you GOTD, but I'll give this one a miss. I admit to not being a great fan of Ashampoo, and with other very popular and effective uninstallers available (Revo free being just one example) this seems very much an also-ran. Thank you GOTD, but I'll give this one a miss. What am I missing about the special price of $23.99?...If I click on the Ashampoo Uninstaller 16 link under the title "Featured titles by Ashampoo GmbH & Co", I'm taken to the Ashampoo website where a popup announces a 17 year anniversary sale with up to 91% off. Click "Get it now" link at the bottom of the popup and you can buy Ashampoo Unisntaller 16 for $11.99. The upgrade is $11.99 .. and no where does it say how upgrades work for Ashampoo .. Is it for 1 year only or within same major version ? They do not say. I do like that the uninstaller will show you what Registry Keys is with a specific program. But for now, free IOBIT Uninstaller does just fine. Mark, Only thing I saw on the website was to buy for $59.99 The upgrade is $11.99 .. and no where does it say how upgrades work for Ashampoo .. Is it for 1 year only or within same major version ? They do not say. I do like that the uninstaller will show you what Registry Keys is with a specific program. But for now, free IOBIT Uninstaller does just fine. bruce, The $11.99 version I downloaded installed as an "Unrestricted full version". The 17th anniversary sale was supposed to run through 10/27, but it looks like they realized their mistake and the popup no longer appears. installed win10 64bit without problem. Even at reduced price of $23.99 this is a bit pricey for an uninstaller. There are plenty of free uninstallers that will do the job. Already have an free uninstaller installed that does all this, so passing on today's offering. daveC, I was seriously thinking of getting this until I read your comment. Thanks for letting folks know about the free ones. I will be looking at several and then decide for myself which one to get. Extracted setup, then ran it. Clicked on "Get Free Activation Key"... Does not do anything. any logic to this? Whiterabbit-uk, What is with the downvotes. If people follow the link given and read the review posted by rabbit they will find no less than 4 free games they can get directly without "tombola" and have a chance to win mentioned game itself. Whiterabbit-uk, Um, why are we discussing a game in this comment section? What does this have to do with the uninstaller offer?